the stunning color and pattern options of natural stone, plus other great benefits. Well, Ekena Millwork is about to make all your dreams come true with our new line of economy faux stone panels. These beauties have tongue and groove ends for a seamless design and they are lightweight for easy installation. 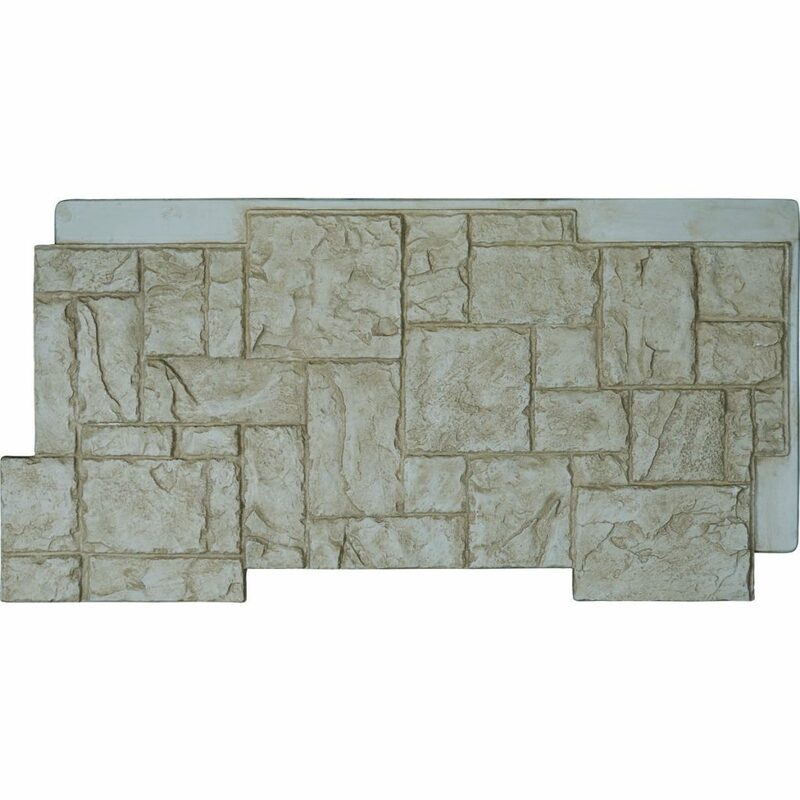 They are great for areas with harsh weather as they are super durable and impact resistant. No one will know they aren't real, because they are molded from genuine stone for realistic clarity and authentic beauty. Natural stone is very heavy and will require a professional contractor to do the complicated installation. Which will cost you more money on top of the cost of the product. 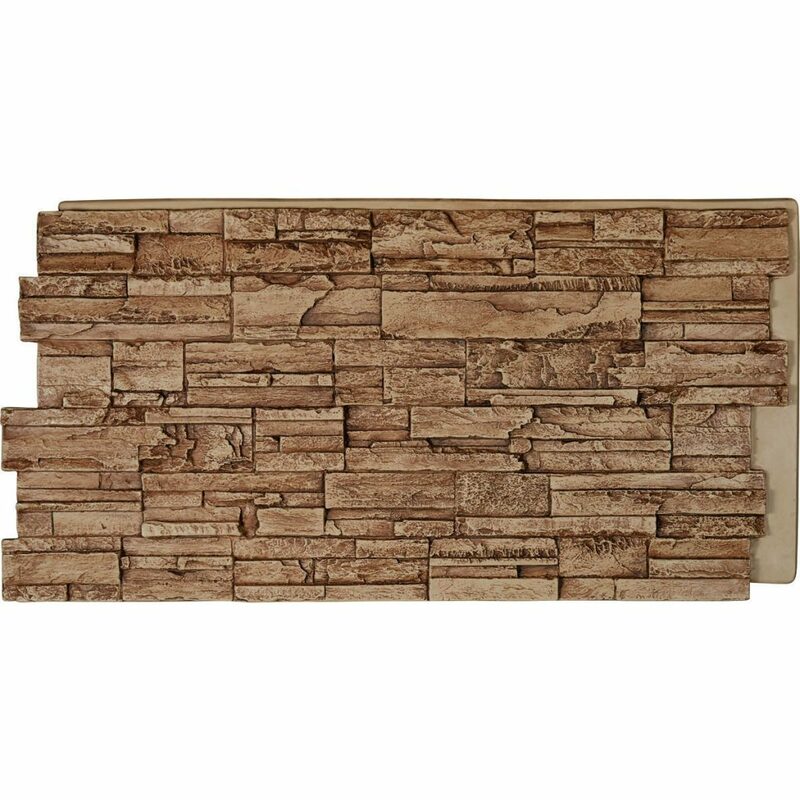 Adversely, faux stone panels weigh as little as one pound per square foot, making it easy for you to carry and install yourself. 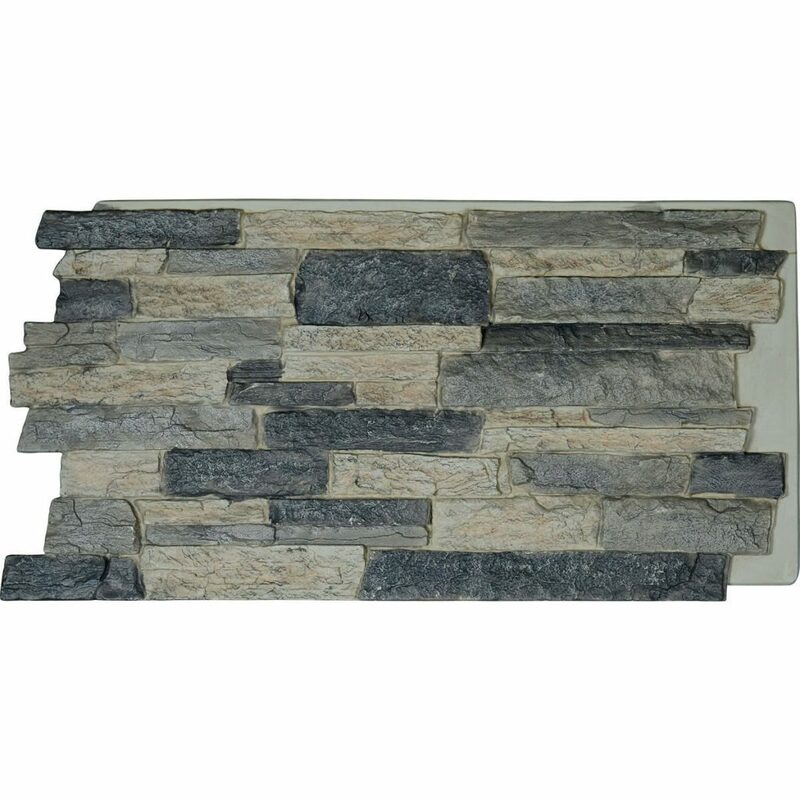 Our new faux stone siding is also in stock and ready to order from your local dealer shipping out within 24 hours. And with four beautiful rugged stone patterns and six striking colors, you are sure to find a perfect fit for your personal style. Needs samples? No problem. Need the panels ASAP? We’ve got you covered. Need to talk to experts about installation or want to know more about the product? We’ve got answers. What are you waiting for? 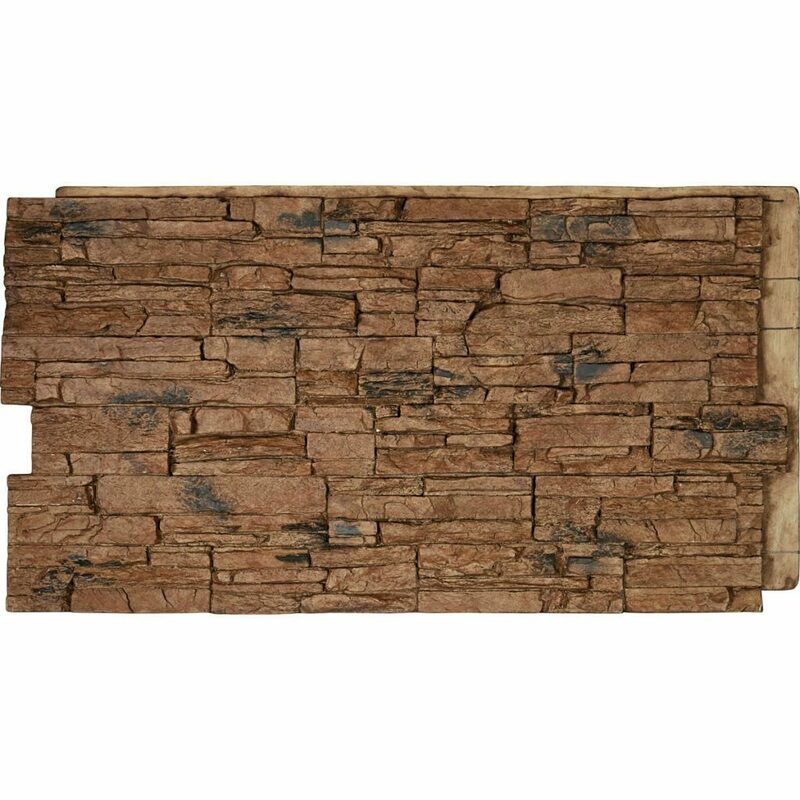 These in-stock, ready to ship, innovative faux stone panels can make the difference to your exterior that you've been dreaming of. 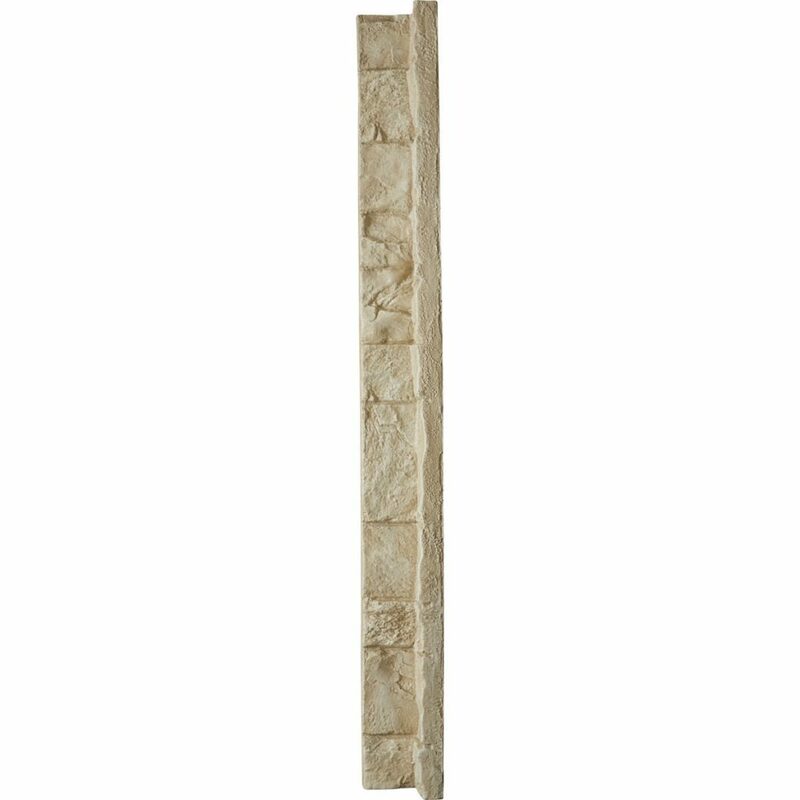 Search Ekena Faux Stone Panels to find a dealer today. Budget-friendly Wood Beams? Is it possible? Who doesn't want the beauty and character of aged-wood beams in their home? However, aged or salvaged-wood beams are usually very heavy, costly, and can have damage by warping or insects. If you are wanting the look of exposed beams and don't need the support, a good option is to install faux wood beams. In fact, our beams are so realistic and offer such great value, they were awarded First Place Best New Product by LMC, a leading Forest Products and Building Materials Buying Group owned by independent lumber and building material dealers across the country. 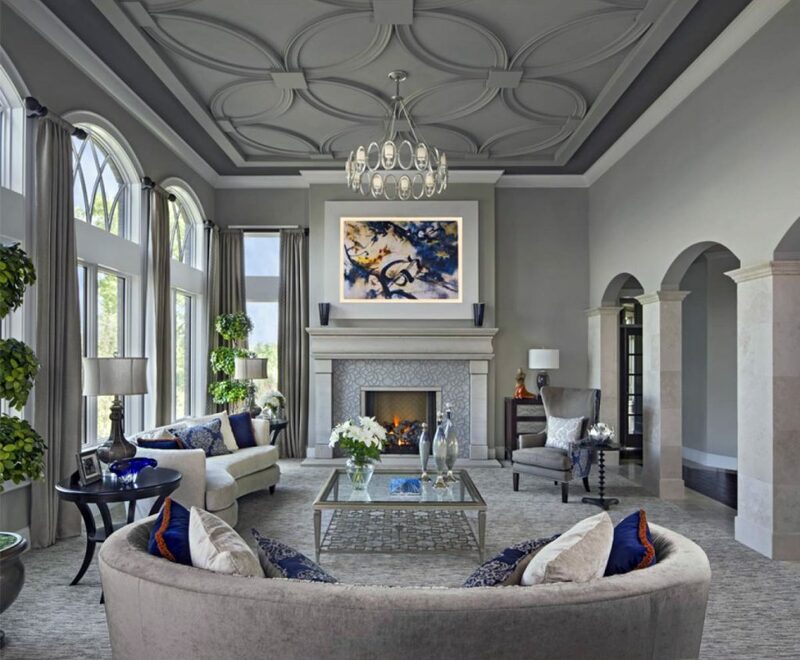 Manufactured from high-density polyurethane, our faux wood beams are made to look just like the real thing. Truly, you can't tell the difference once installed. 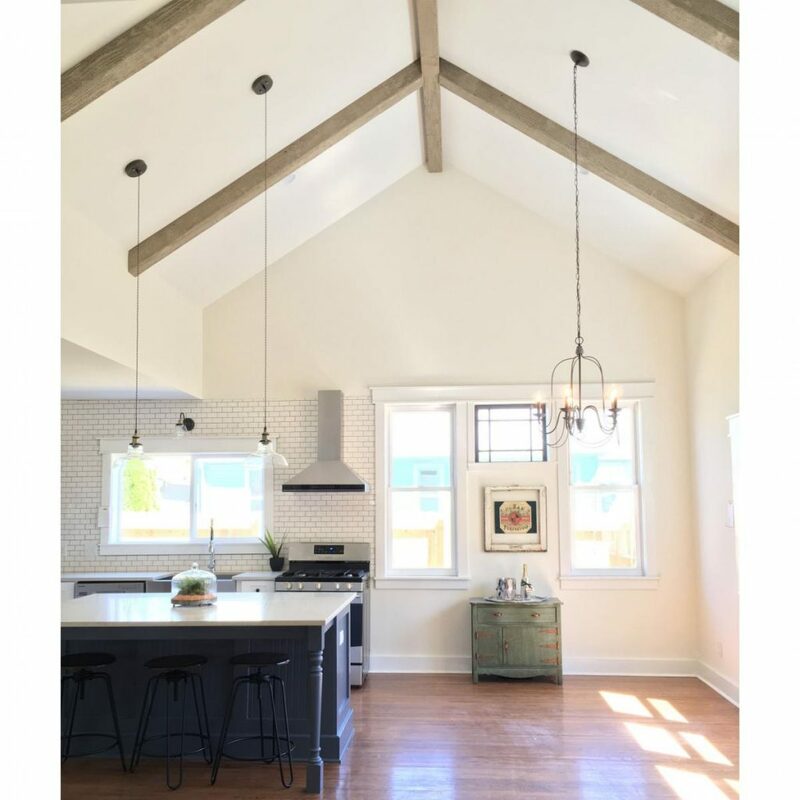 Available in a myriad of finishes, styles and textures, these lightweight, easy to install alternatives to authentic wood beams, make it simple to upgrade your space without sacrificing your wallet and reno schedule. With so many options and unique hand-painted finishes, you can customize your beams to match your interior style perfectly. 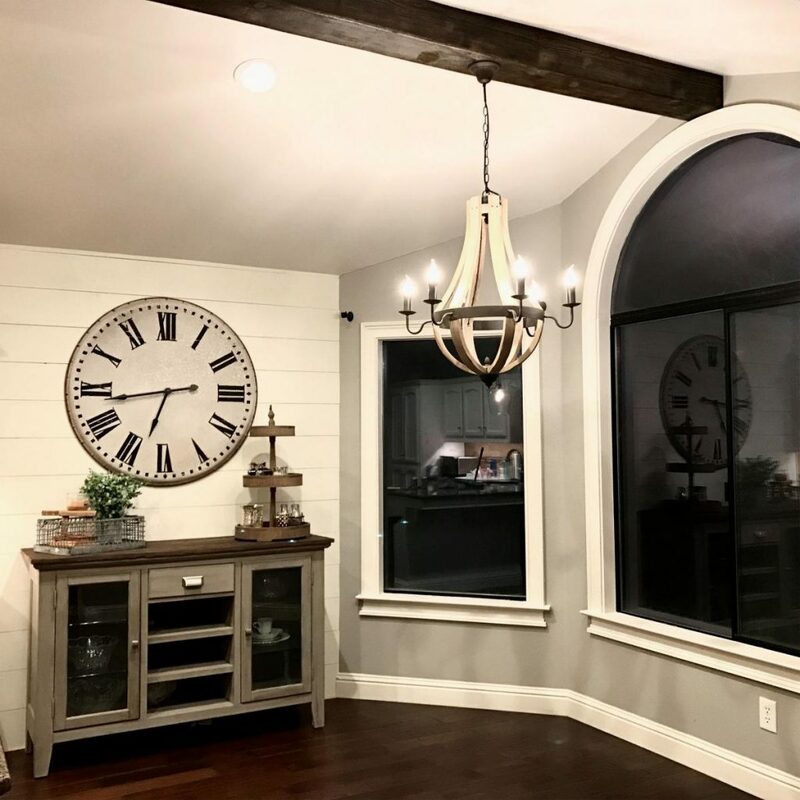 Our modern whitewash and honey dew finishes are finding their way in classic ranch, contemporary and farmhouse style homes all over the country. The applications are endless with the versatility our maintenance-free faux wood beams offer. 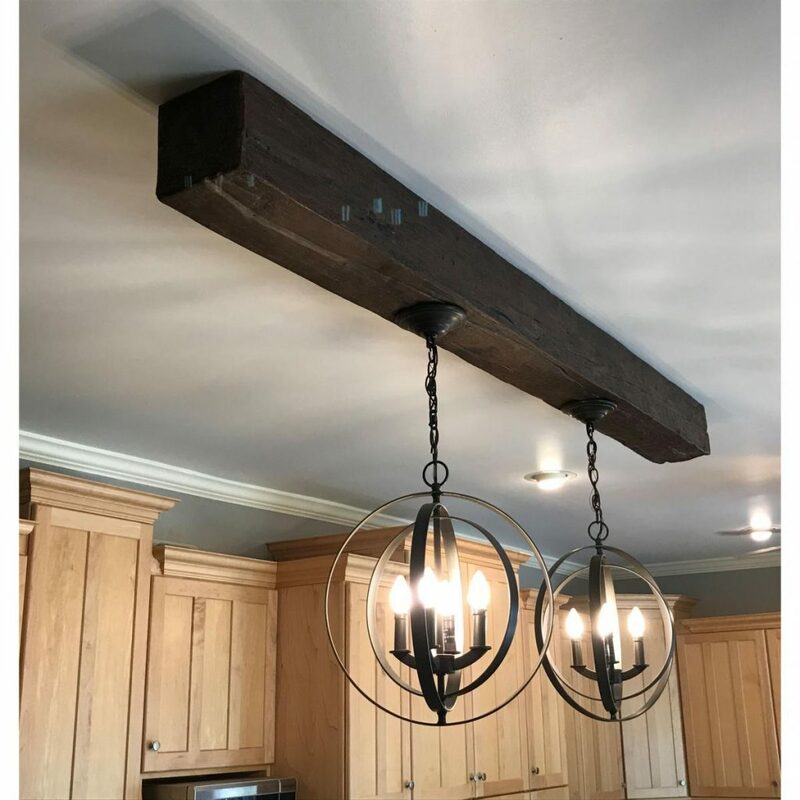 Upgrade and increase your home value while adding dimension and that special character you desire for two, to three times less than real wood beams. 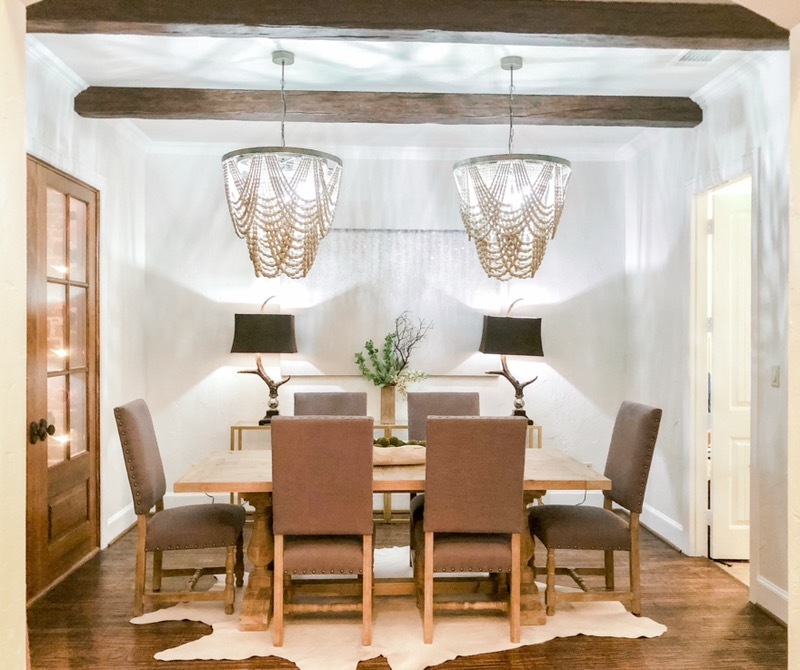 Search Ekena faux wood beams to find a dealer today. Get the look you want or didn't know you could have, at a price you can afford, with new innovative PVC panels. 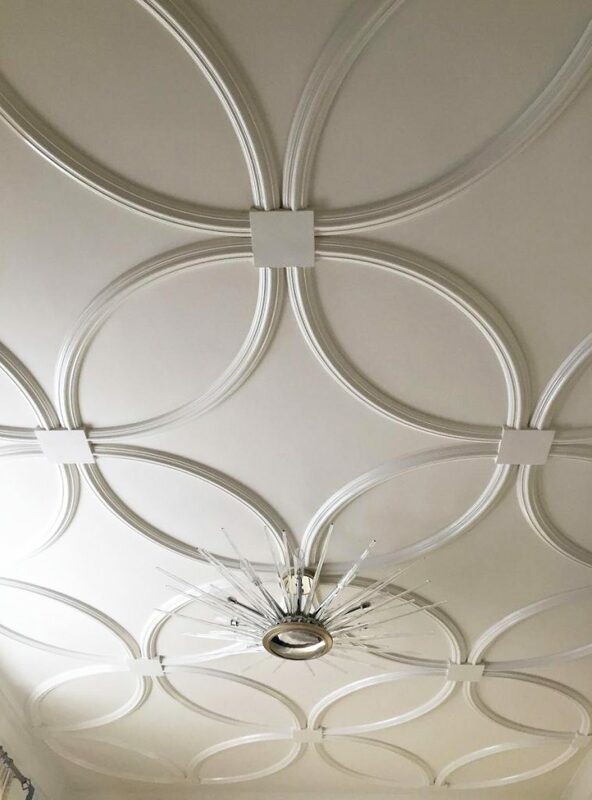 These durable, light-weight panels make a huge impact and give a fresh take on traditional wainscoting or ceiling options. They are manufactured in four foot by eight-foot sheets and there are no bounds to the design, patterns and creativity. 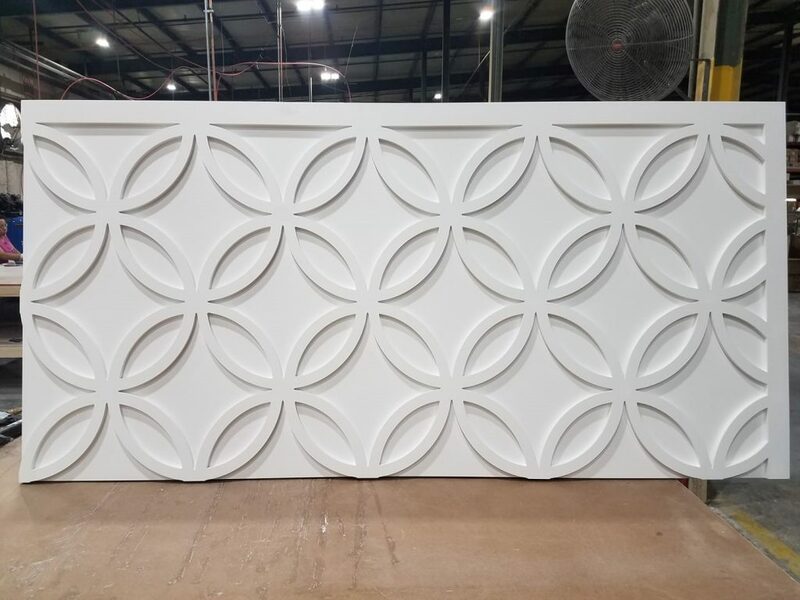 If you like geometric patterns for a trendy modern vibe, or floral and botanical prints for a nature-inspired look, or even the clean lines of traditional paneling, these PVC panels offer an inspiring alternative to traditional wood, MDF or plastic wall and ceiling treatments. The best part expanded PVC products are created from a high-density, rigid material. 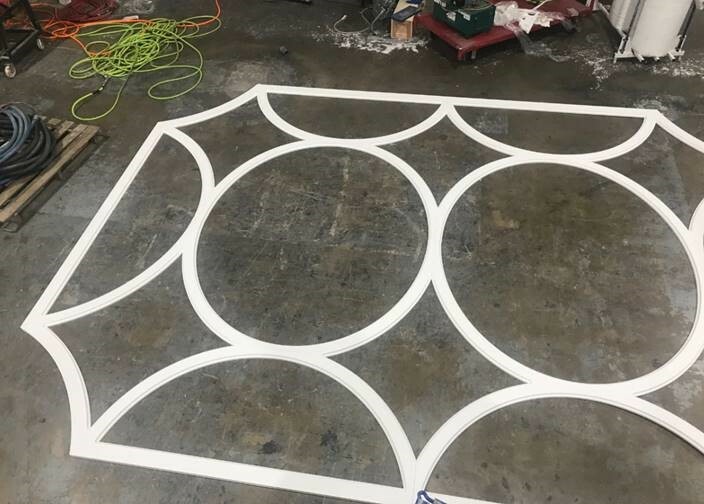 It is rolled and pressed out into a sheet that can then be cut, drilled, machined, nailed, glued, and screwed just like wood, metal, and aluminum. 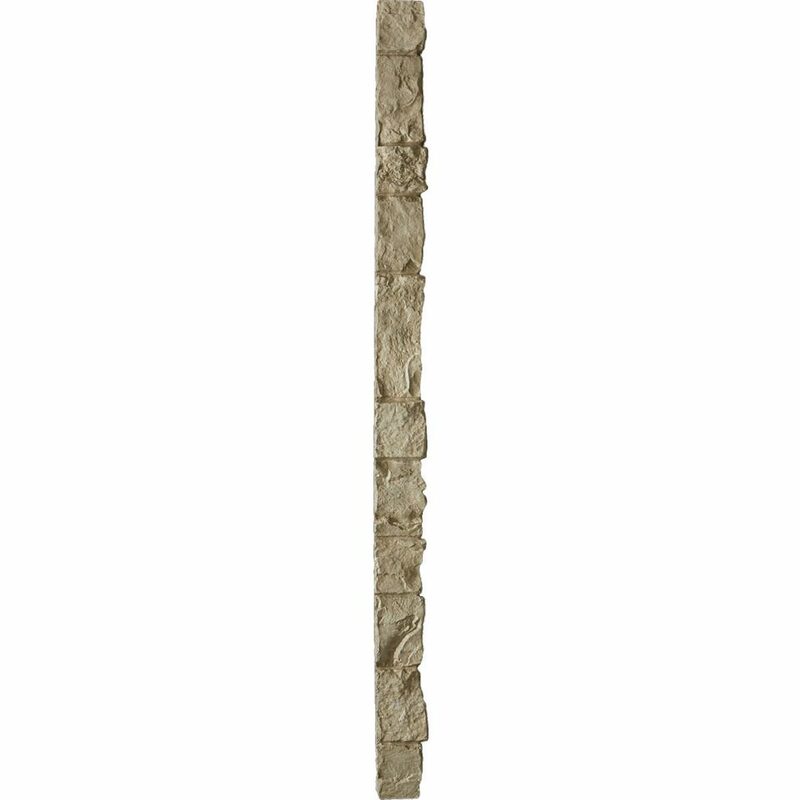 It has superior screw and staple retention. It offers superior dent and scratch resistance, making it an ideal wall covering for busy homes and high traffic commercial environments. 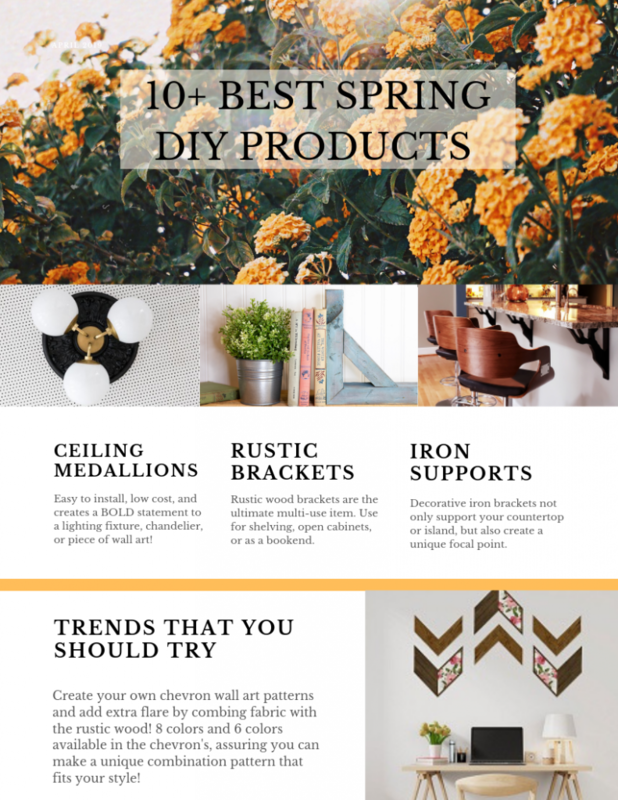 In addition, it is resistant to moisture and insects, so it’s great for interior or exterior projects, (think custom porch siding and ceilings, intriguing laundry room texture, beautiful baths). It's easy to install and comes ready to paint, so your new space can be completed in no time at all. 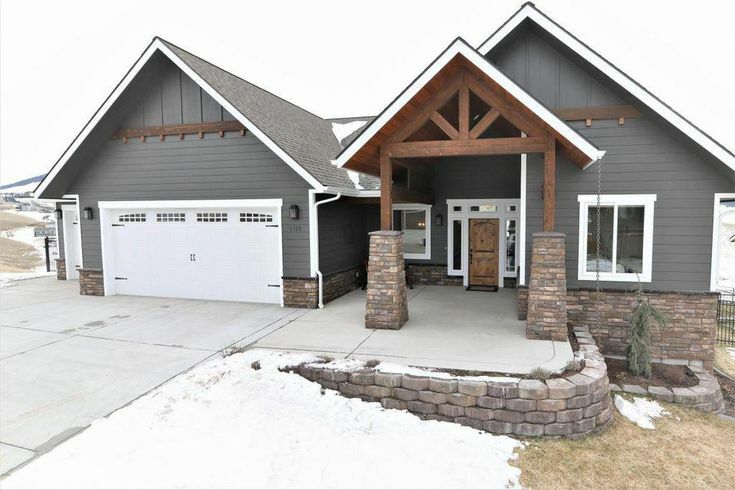 You are just a few easy steps away from showing off your new one-of-a-kind home upgrade. First, use that imagination you have and dream up a creative, bold, delicate, or whimsical design. 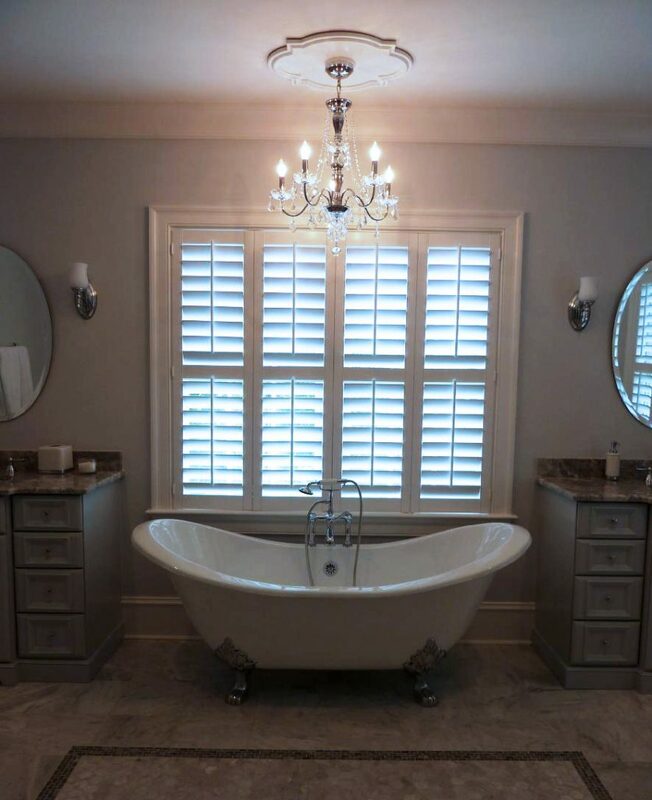 Next, call a Design Expert at Ekena Millwork to review your design idea and help you partner with a local dealer who can quote and help you order. They take over the process from there to make your dreams come true. 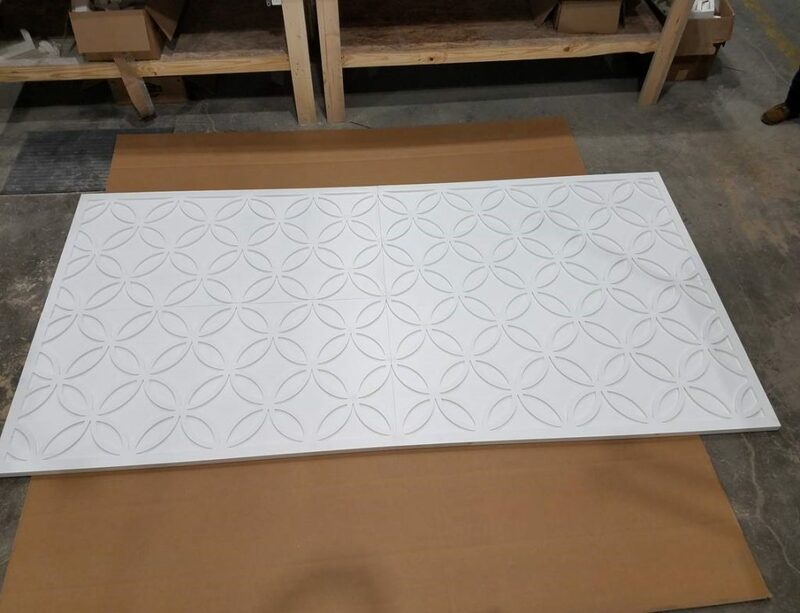 The product development team renders the design, sends it to the CNC machine where technology takes over and the machine precision-cuts your custom design out with clean, crisp detail with unmatched quality. Get inspired and then get these panels. Give your space new found interest and beauty, that others will want to emulate. What are you waiting for? For the construction and building industry, custom orders can bring up feelings of stress and anxiety. Most manufacturers only have standard stock items that often don't seem to fit the bill perfectly. 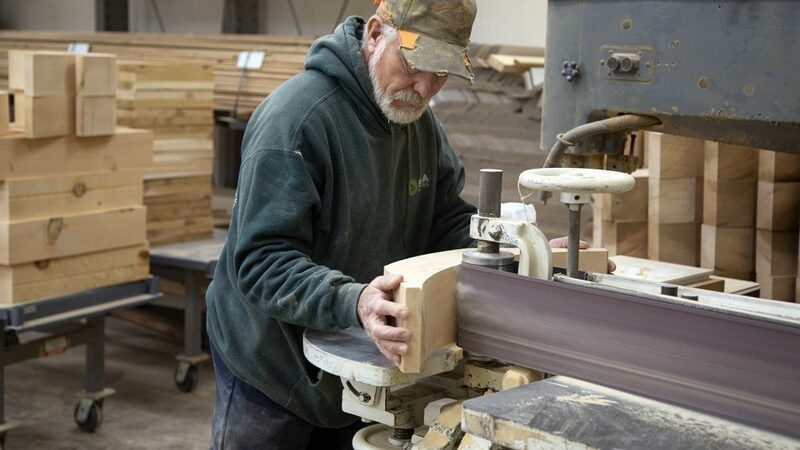 At Ekena Millwork we strive to be a full service, one-stop-shop manufacturer. From product concept to design, then fabrication to production, our team is dedicated to building the finest goods on the market; maximizing the value and efficiency of every product we make. Ekena introduced a new time-saving tool for contractors, architects, and builders alike with value-add deliverables that the industry hasn’t had easy access to before. 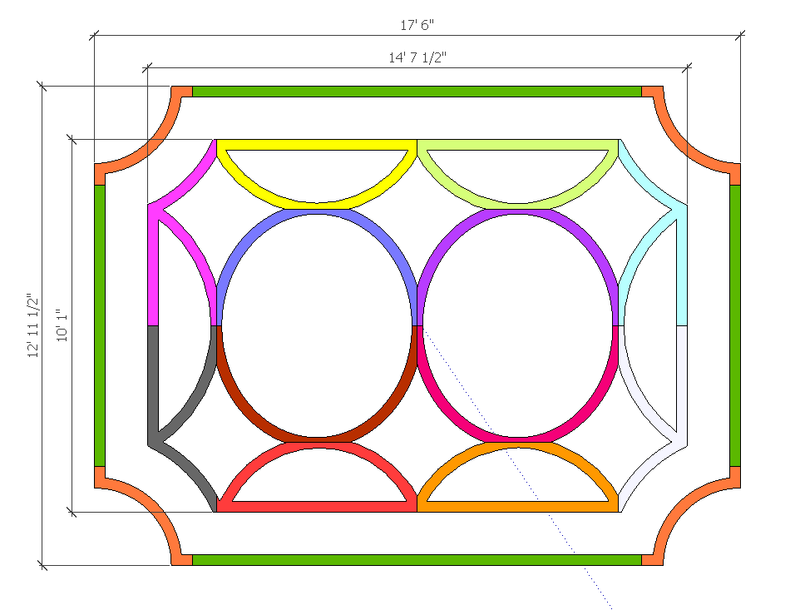 Our online Product Designers allow the user to draft a custom design online 24/7. We’re making custom orders standard and giving vendors the tools to be more successful. Not only does Ekena Millwork offer the largest collection of wood, metal and composite millwork in the country, but the capabilities and opportunity to order whatever product you need in any material, in every shape and size could save considerable time and money. 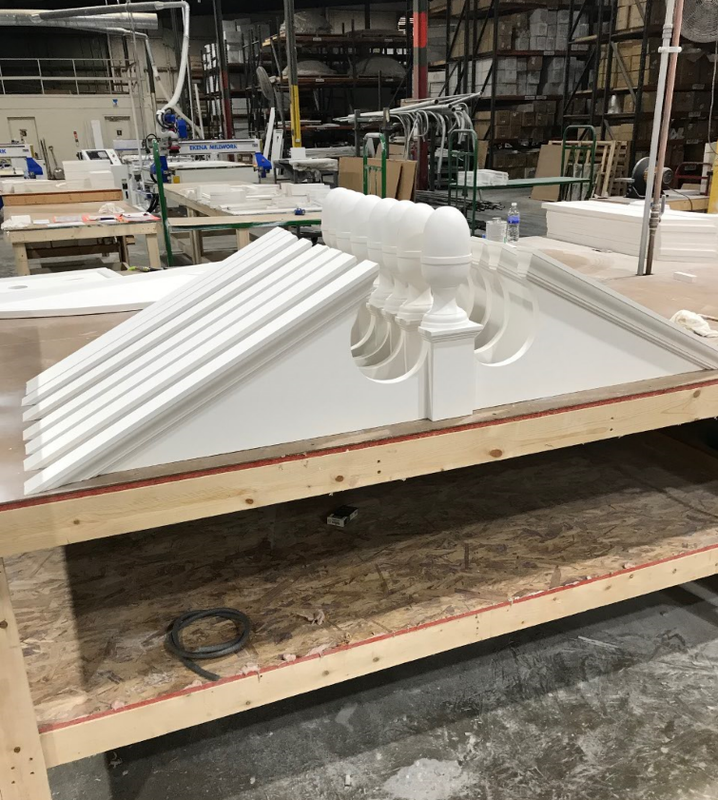 The new PVC DESIGNER is available for most every product category making it possible to design custom pediments, gable pediments and gable brackets, corbels, braces, brackets, outlookers, rafter tails, arches, trim, and even pilasters. The tool instantly delivers custom sizing, pricing, cad files, spec sheets and photo rendering; a complete deliverables package not available until now. 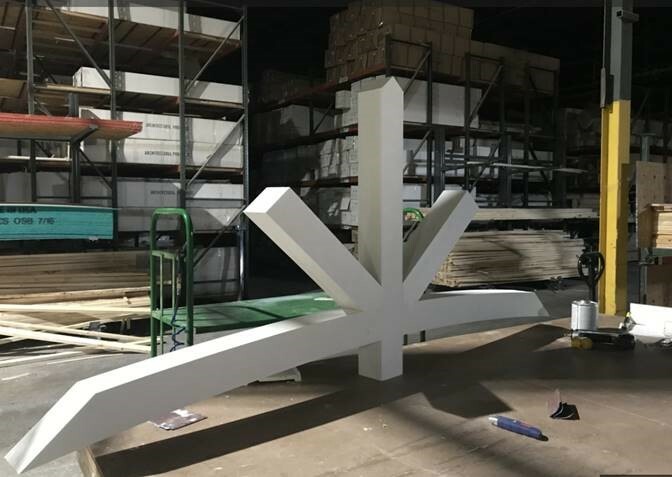 “Ekena not only pushes the boundaries in the products we make, but we also want to set a new standard in the millwork industry for how products are ordered, purchased and shipped,” says Director Daniel Milkie. “The customization of building materials like these has not been easily done without outdated time-consuming drawing and drafting techniques,” added Milkie. 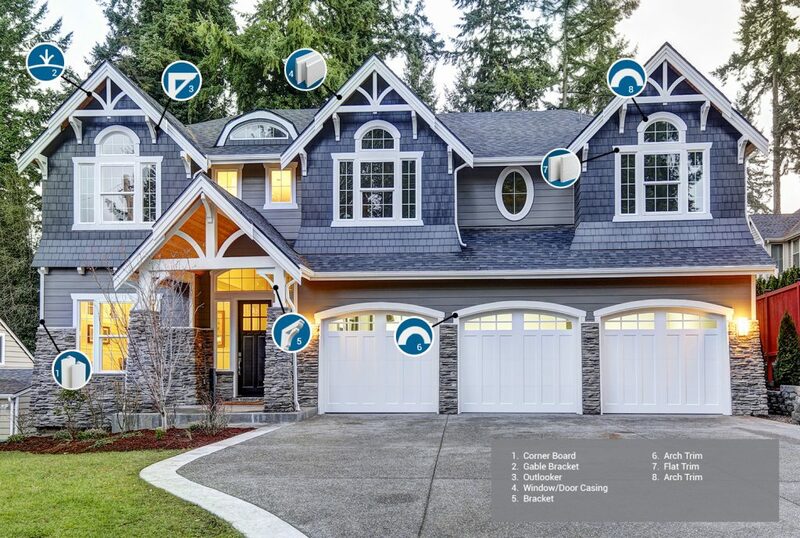 Ekena developed the software in-house to render the product specs in real time to help save their vendors and contractors time and effort after taking inventory of their customers’ wants and needs for quality custom building products. The online tool is simple to use and does all the calculating for the user. It allows for unique and specific variations to be made by offering options for custom widths, depths and heights; with open, closed or solid construction options. The combinations are endless and are really allowing designers, builders, architects, and lumber yards to offer truly signature pieces that can’t be found elsewhere. Our goal is to offer not just a product, but a solution. 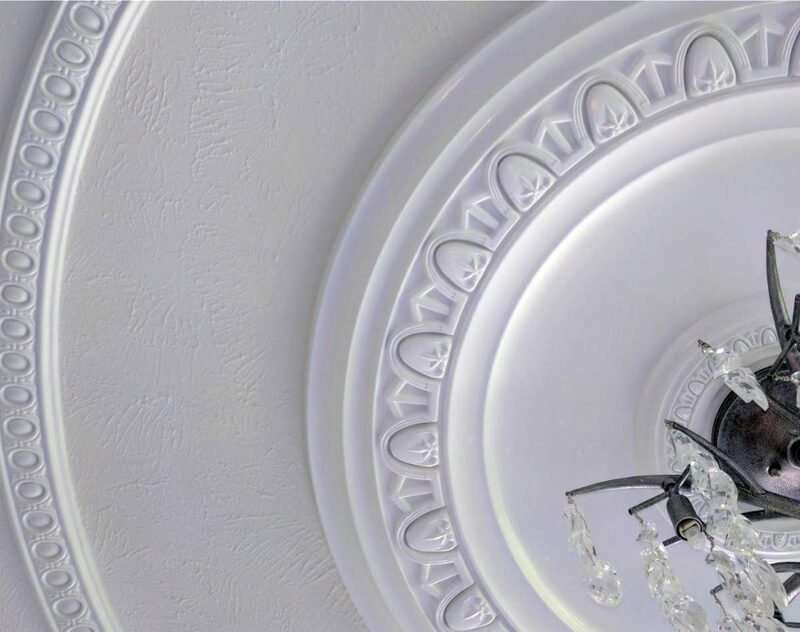 Ceiling accents such as rings and medallions, offer a great opportunity to upgrade a plain light fixture or ordinary ceiling space to an extraordinary focal point. 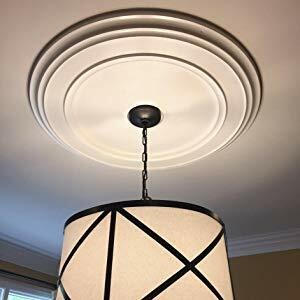 These quick install and affordable additions come in PVC or polyurethane and a vast range of sizes, shapes, and styles. 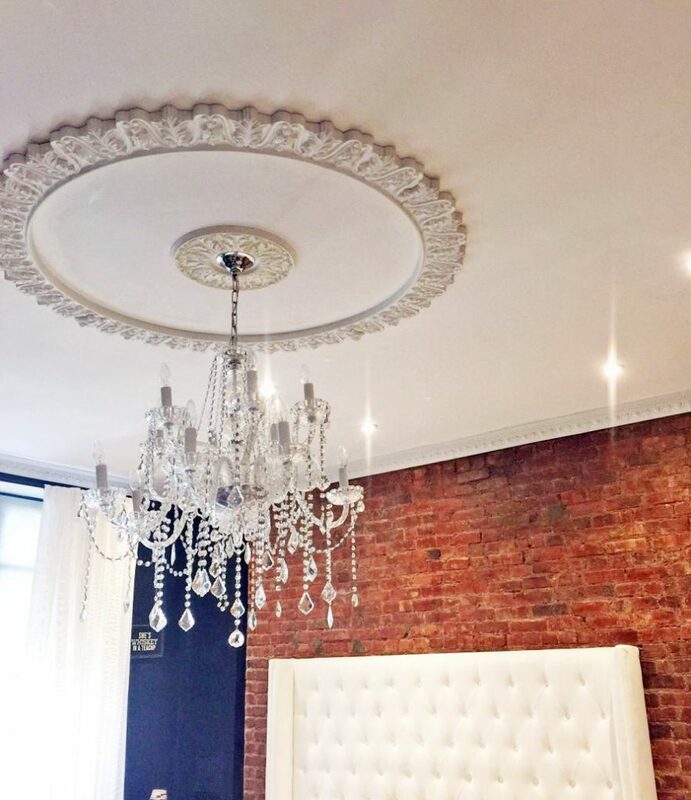 Medallions and ceiling rings are jewelry for the home, and when paired together, they compose a grand effect. 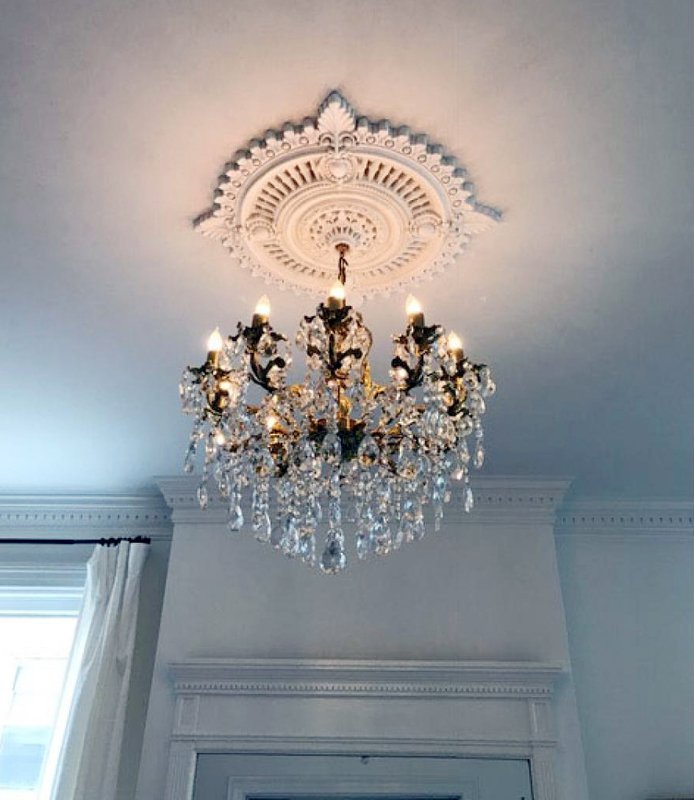 Throw in a sparkling chandelier, modern pendant, or ceiling fan; and the combination creates the perfect signature style. With round, diamond, oval, square and rectangular designs, there is something for everyone's preference. Eclectic, contemporary, organic, floral, traditional, and classic textures and patterns accentuate every home decor style. They come in beautiful pre-painted finishes such as metallic, crackle, flat and wood for those who want to simply match their current color schemes or you can add your own personal touch as they come factory primed too. 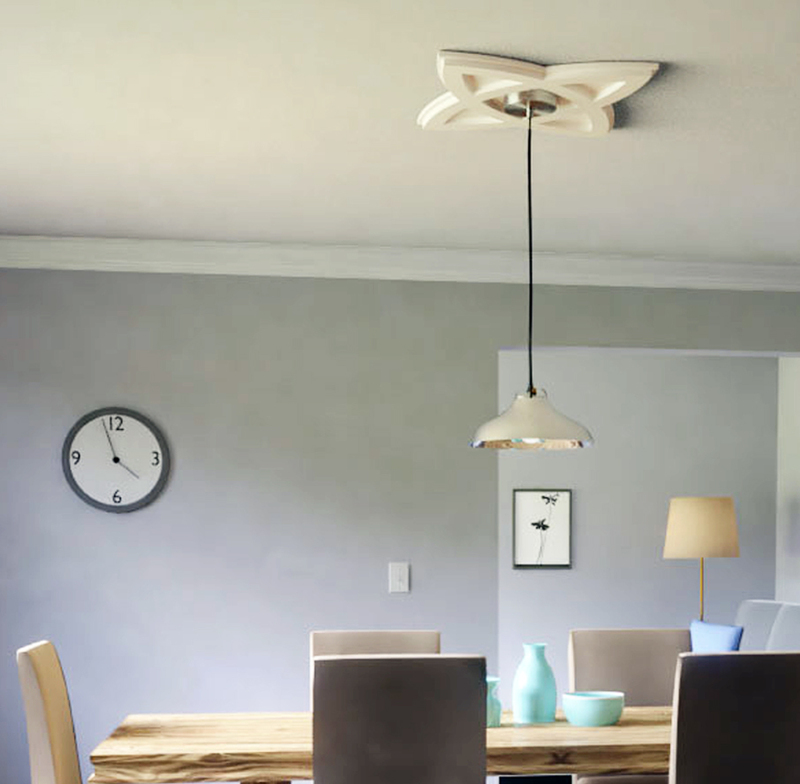 Make a bold statement or subtly draw attention to your favorite new light fixture. Dream up and inspire an original piece of artwork by creating your own concept. 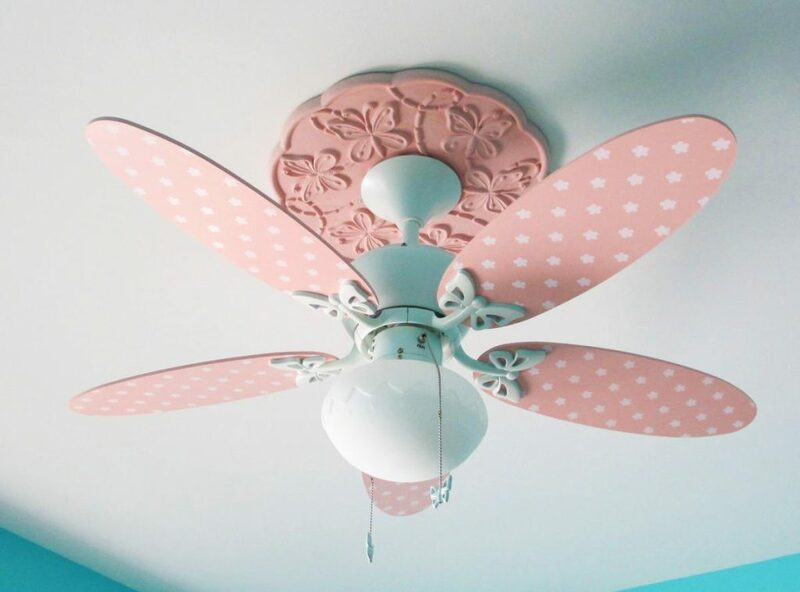 Why waste space with a dull fifth wall, when you can makeover your ceiling space into something more wonderful. 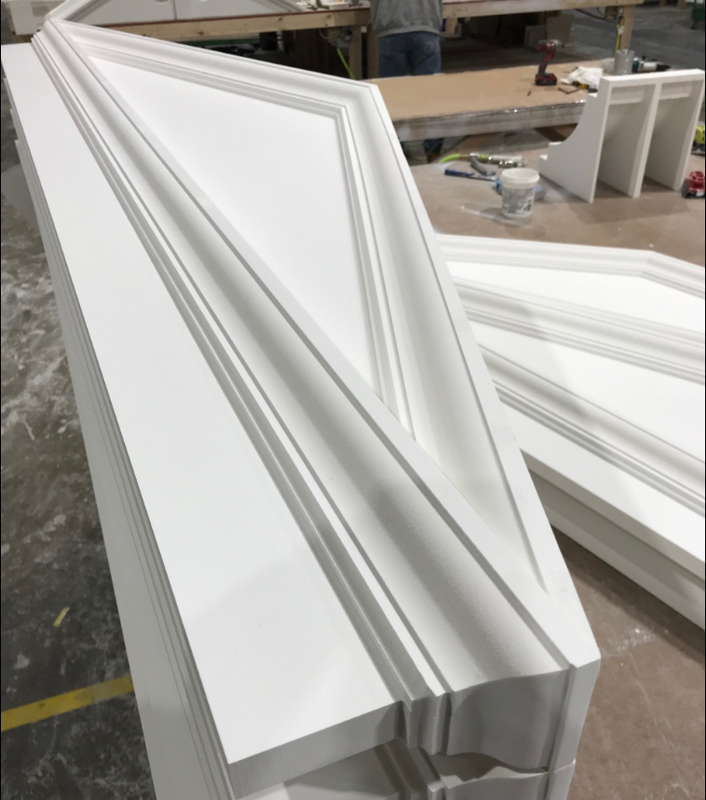 With so many facets of construction turning to premade or prefabricated building components, custom millwork is more valuable than ever. 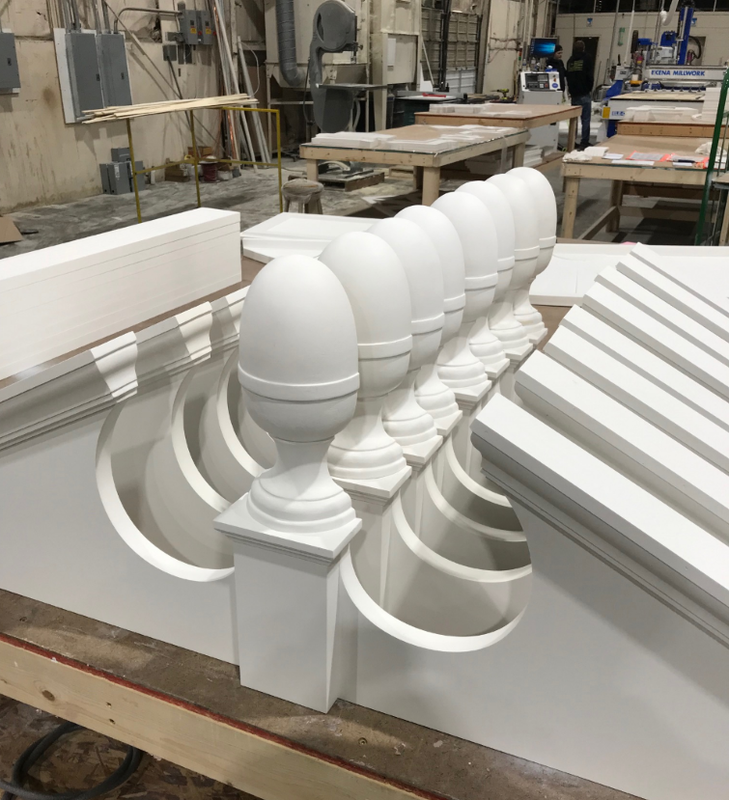 Contractors, builders, designers and homeowners alike have the opportunity to save time and money without compromising on quality, by ordering premade\preassembled millwork. 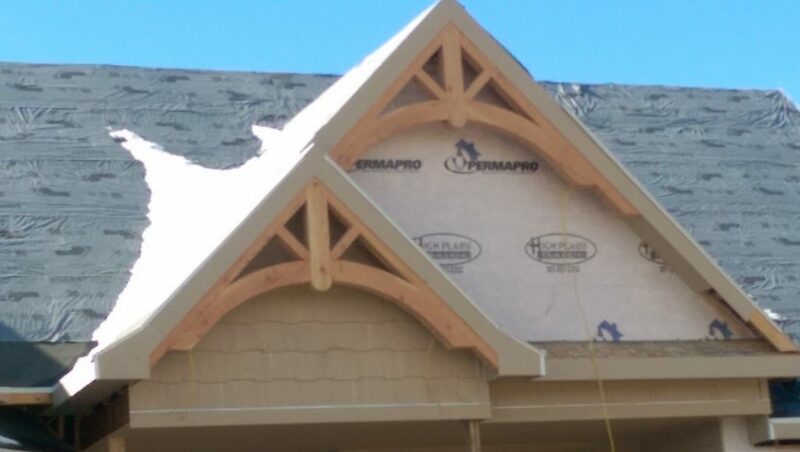 A perfect example, Larry Stauch of RW Specialties in Casper Wyoming, shared that our Ekena custom 12/12 pitch gable brackets built in our factory in Texas made quite the statement compared to the field-built brackets next door. 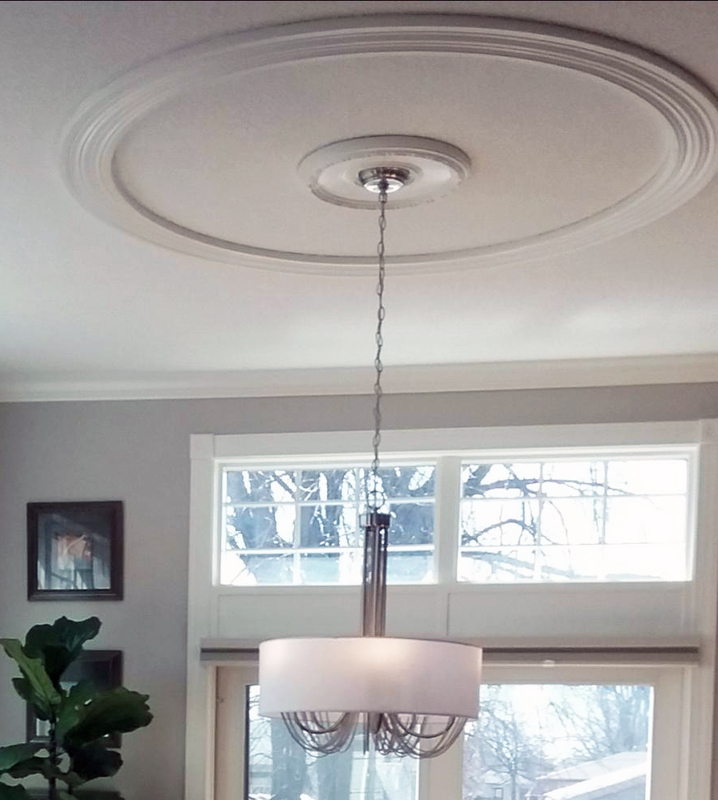 Not only does the quality and expertise of hand-crafted millwork add to the overall character of a home or business; but the value of having an inspected, quality-checked and superior material is worth ordering from a mill, rather than depending on labor to cut, measure, and assemble on site. 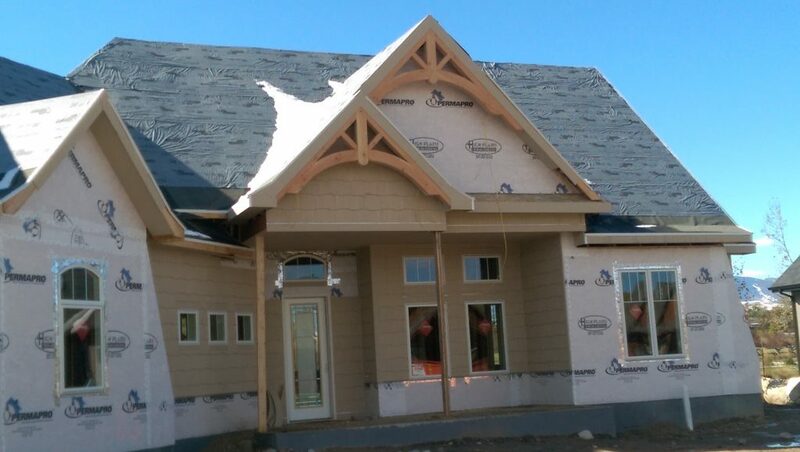 Prefabricated gable pediments, braces, brackets, outlookers, and rafter tails all help reduce overall project schedule time with shorter duration of the construction phase, all while improving the quality of the craftsmanship and making the scheduling of installation easier and more predictable. 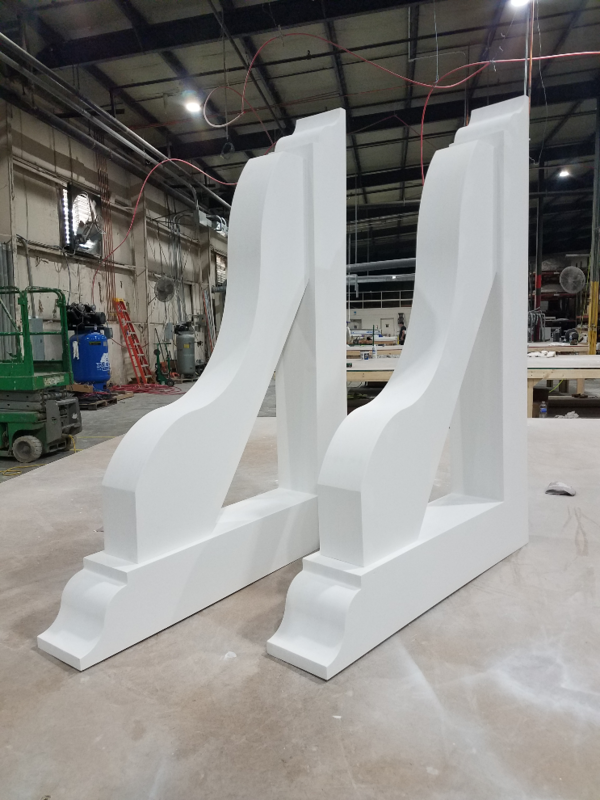 When you have the ability to order a custom any-size, any-style, any-material component that can be made quickly and made well, and also shipped to the work site, there is less room for error and waste. Off site fabricated construction isn’t a new development in the construction industry, but it is more practical and cost-effective than ever before with new materials and techniques being developed all the time. 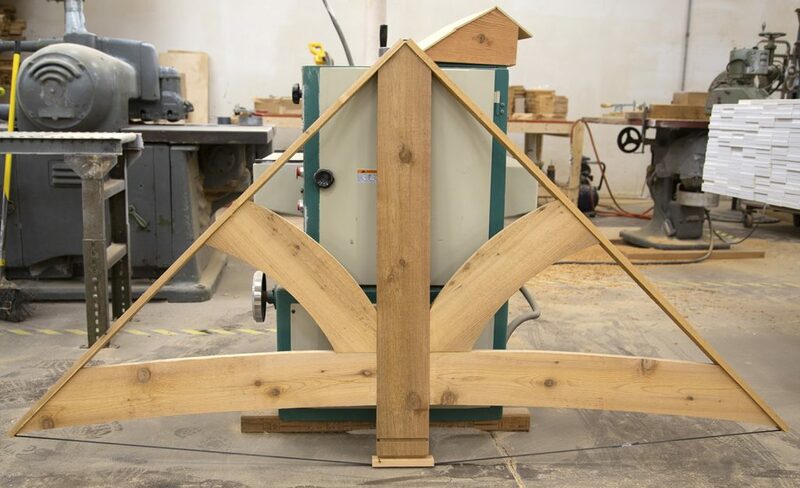 Build your own rustic timber gable bracket and see what all the buzz is about. 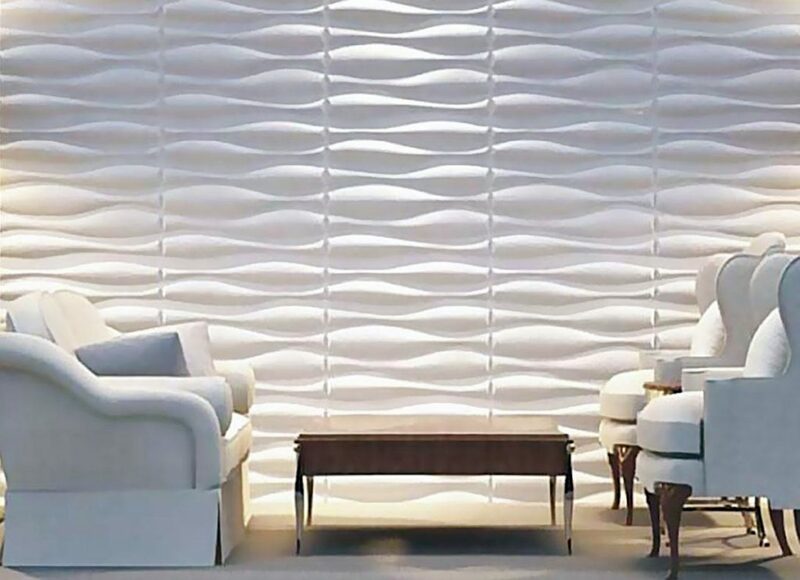 Why have ordinary walls like everyone else, when you can create a masterful work of art with ENDURAWALL decorative 3D wall panels. For centuries, homeowners and designers alike have desired fresh alternatives to standard wall textures. 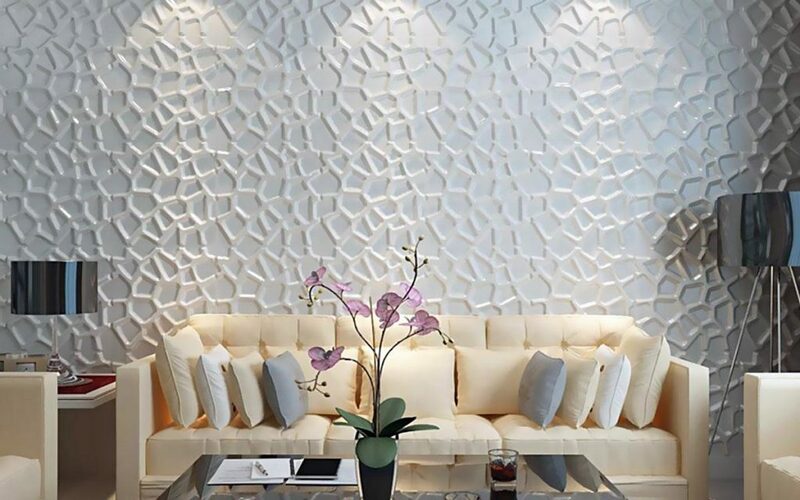 3D wall panels are the newest and easiest way to create playful bold patterns, simple silhouettes, or memorable feature walls and ceilings. 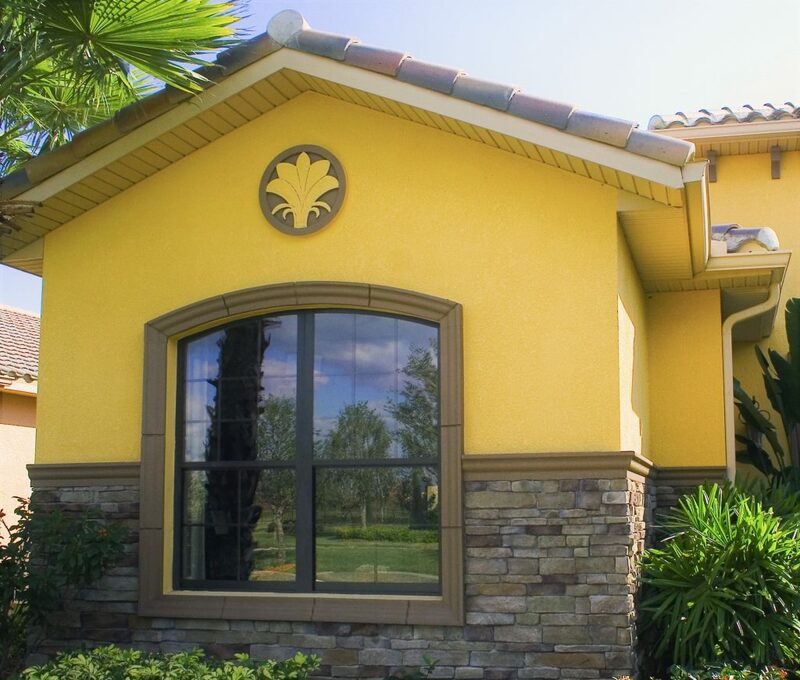 Because they are made from durable PVC that is waterproof, dent-resistant and lightweight; installation options are endless for both interior and exterior, and residential and commercial applications. Especially created for spaces where moisture is an issue, PVC can stand up to any conditions whether it's a splashing toddler, wet dogs, steam, or weather. 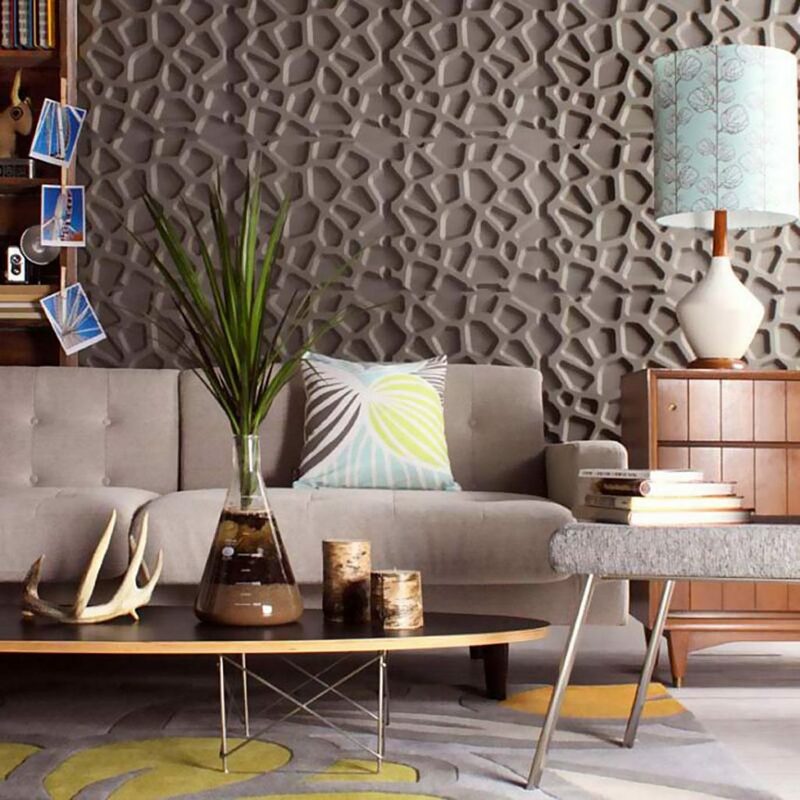 Traditional wall covering options are typically made of paper or plant-based materials that can be delicate and prone to peeling, warping or bubbling. Once installed correctly, our PVC wall panels are virtually maintenance free. They were built for homes and community spaces where people move, explore and live life. They are the perfect fusion of function and beauty. You can find our stylish, classic and contemporary designs online with helpful project pictures to inspire your next bragging rights. Check back soon for our 2019 NEW designs release! What's the Meaning of Millwork? There's a reason why architectural traditions have lasted through the decades. They tie us to the past and give history a voice in a world where change seems to come the minute after we acclimate ourselves to the new. 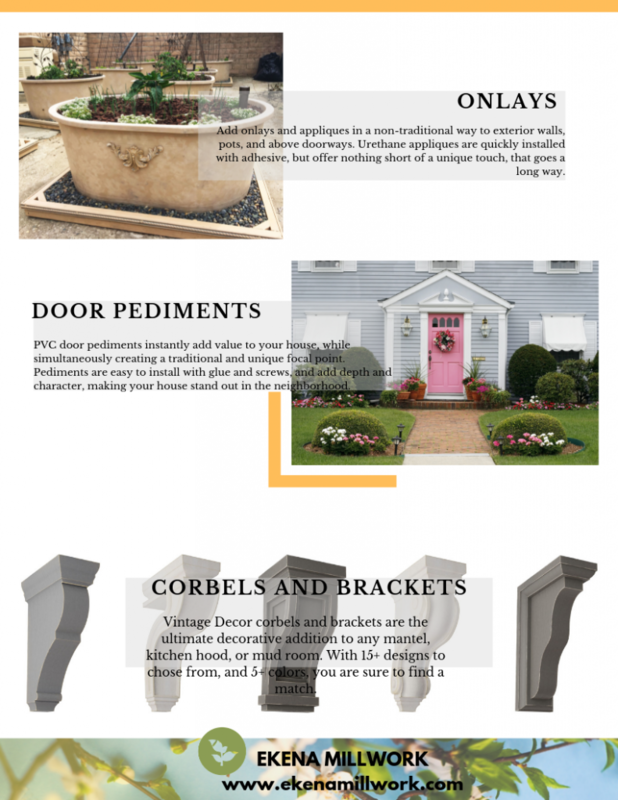 Accurately designed and correctly installed moldings, columns, balustrade, and other elements give your home a visual foundation for days of old. Millwork components lend a place where your personal style journey can unfold and tell the story of your home too. 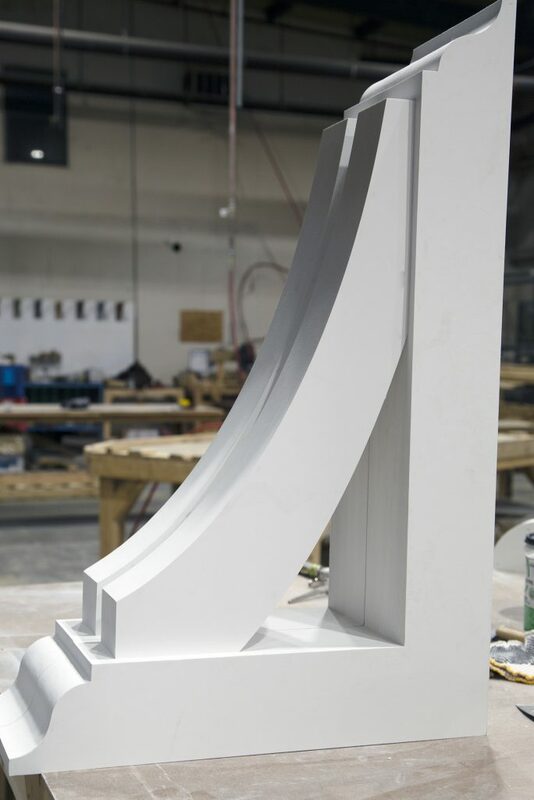 Though the mission of Ekena is to revolutionize the architectural millwork industry through innovative tools, materials and designs; our heart is to keep the authenticity, accuracy and quality of traditional craftsmanship. 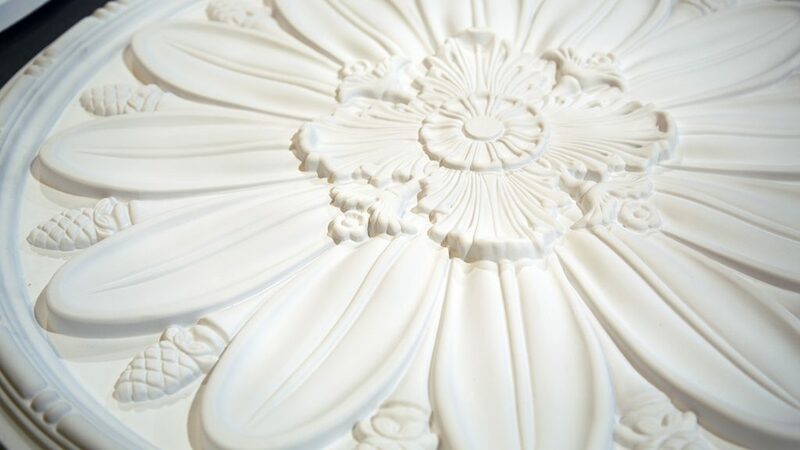 Every detail in our products are modeled after original historical patterns and designs. While traditional products became a staple with our vendors, demand for a lower-cost, paint-grade alternative became apparent and thus we got into polyurethane and expanded cellular PVC manufacturing. 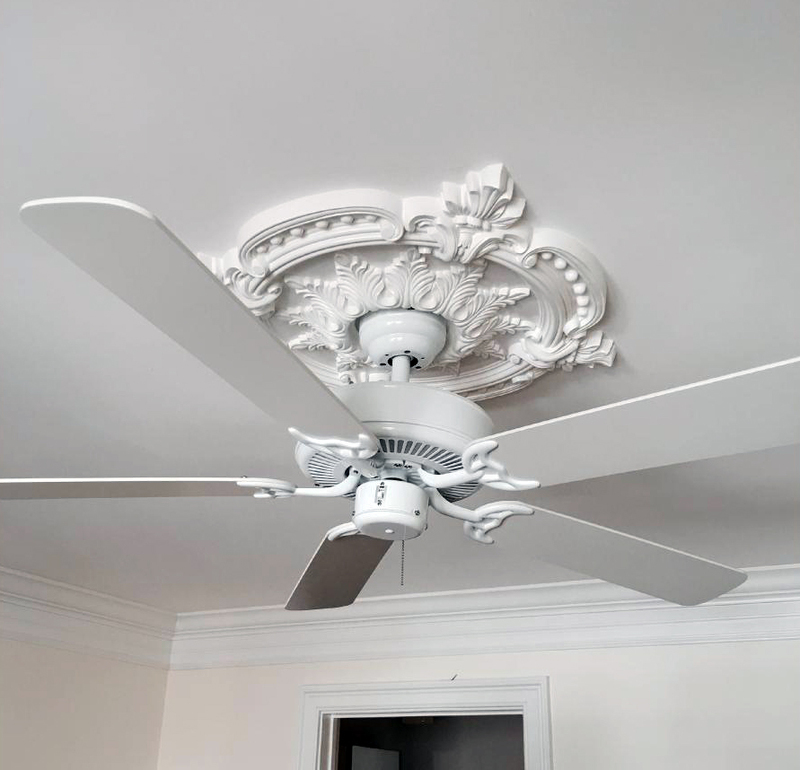 We could now offer both high-end stain-grade wood carvings, as well as high-value composite millwork, allowing us to service a much wider variety of projects. 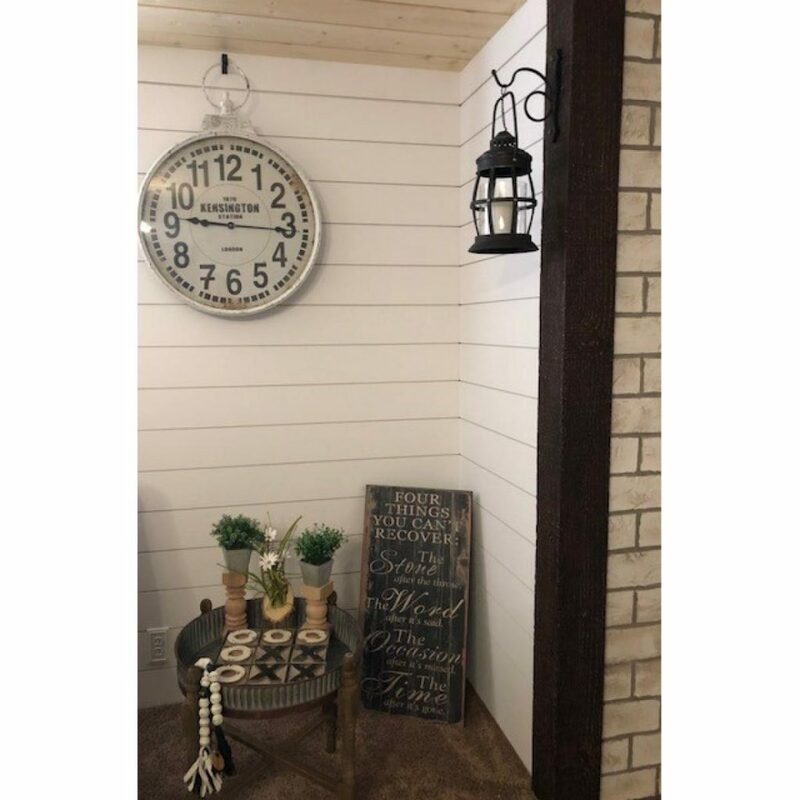 Operations expanded to Clarksville, Texas and we quickly got into other popular design trends like the clean lines of stainless steel, the sleek industrial look of wrought iron, and the rustic and vintage style of rough-sawn cedar. Earning distribution of these products throughout the country from companies like Builders First Source, ABC Supply, LMC dealers, 84 Lumber and thousands of local lumber yards, our products made their way onto the plans of the largest home-builders around. Today, you can find Ekena products on new construction around the world, probably right in your neighborhood. We are currently developing product lines that have been previously considered custom. By standardizing the designs, sizes and materials, we are providing a new standard in quality, turn around time and breadth of dimensions. Our innovative online builders allow customers to design their own products to specification with instant deliverables such as a specification sheet, CAD files, a photo, applicable lead-times, a part number, and yes, even a price. Find this tool for our new line of Architectural Grade PVC millwork or Rustic TimberCraft line.